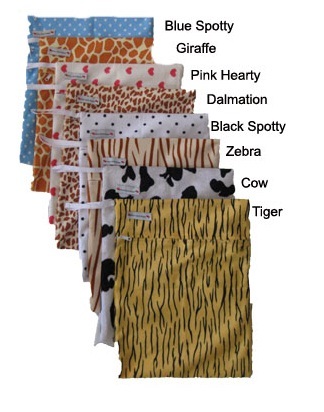 Perfect partners for all times when you need to separate dirty and wet items such as cloth diapers, bathing suits and swim wear. 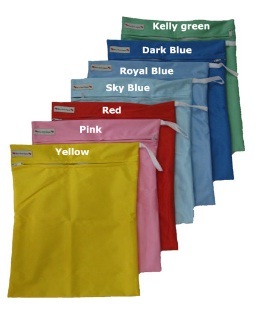 #Made of waterproof and breathable materials i.e. Minky PUL. #Separate out bad odour of used diaper. 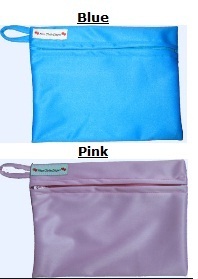 ~Zipper closure to ensure any unwanted smells stay where they belong - in the bag. ~ Also can be used for storing dirty baby wipes. 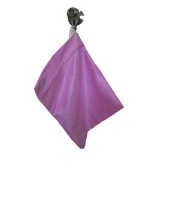 ~ Come with a convenient wrist strap for you to hang while you change.